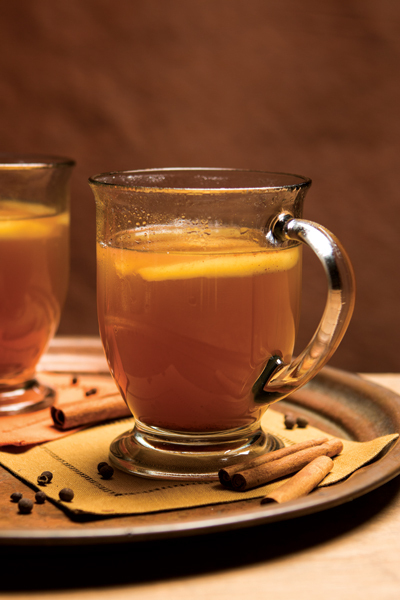 The crisp taste of apples complement whiskey in this well-rounded warm drink. Thinly slice Granny Smith apple and coat the slices with ground cinnamon and all-spice. Add the apple slices to a hot pot and sear. After about 2 minutes pour the whiskey over the apples and lower the heat. Top with apple cider and some more ground cinnamon and leave to simmer. Serve in mugs.